We believe our strength is built on knowledge and value. A family owned business, Homan, Inc. has been serving the area as a livestock materials handling equipment retailer since the company was founded in 1958. In addition to livestock material handling equipment and grain storage and handling systems, we also construct animal confinement buildings where we have rapidly moved to the forefront of our industry in this competitive market. It is our aim to be the premier livestock building construction company and retailer of livestock materials handling equipment in our market area. We provide our customers with service supported, quality products for where they need them, when they need them, all at a marketable price. 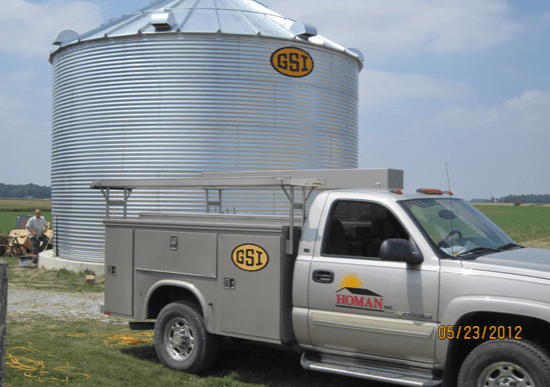 Behind our sales and service staff is our administrative staff that provides the support needed to keep Homan Inc. competitive and a leader in construction and livestock material handling equipment. We know our product lines, our markets, our customers, and our territory. Then we add value to every product line we sell; the value of selling the best product, having it where and when it is needed, and the value of supporting our customers with experienced sales and service personnel they demand and deserve.